Auto Repair Reference Center offers auto repair information for vehicles made from 1945 to the present. Part of BadgerLink. “Search or browse the BadgerLearn training portal to find resources including streaming tutorials and web-based tools for use in training staff and improving library services to users”. BadgerLink is Wisconsin’s online library which provides access to licensed content such as magazines, newspapers, scholarly articles, videos, images, and music. These resources are provided exclusively for use by all Wisconsin residents and are materials that are not available through regular search engines such as Google. 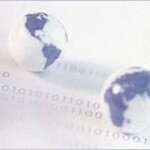 It is a project of the Wisconsin Department of Public Instruction (DPI), Division for Libraries and Technology. Consumer Health Complete is designed to support patients’ information needs. It provides content covering all areas of health and wellness from mainstream medicine to the many perspectives of complementary, holistic and integrated medicine. Part of BadgerLink. ConsumerReports.org provides articles on health, public safety, marketplace, economics and the judicial & regulatory actions that affect consumers. Part of BadgerLink. HeritageQuest Online offers genealogical information including a census search (complete set of Federal census images from 1790-1930, include name indexes for many years), books (20,000 family and local histories), the PERSI index (over 1.6 million genealogy and local history articles), and much more. Learning Express Library offers a collection of web-based test preparation tools and skill-building materials for children, teens, and adults. Available exams include: ACT, ASVAB, GED, GRE, Law Enforcement, LSAT, Postal workers, SAT, and US Citizenship. You get immediate scoring, answer explanation, and analysis of your results. Part of BadgerLink. 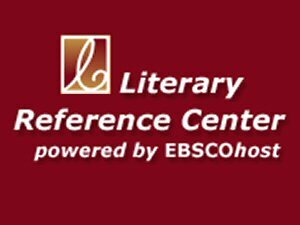 Literary Reference Center is a broad spectrum of reference information from antiquity to present day literature. Part of Badgerlink. 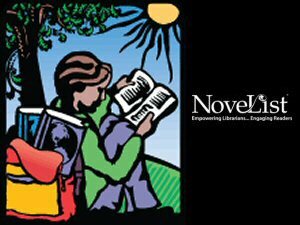 NoveList is a reader’s advisory database from EBSCOhost providing access to information on fiction titles as well as feature content including author read-alikes, book discussion guides, reading lists and more. Part of BadgerLink. Soundzabound is a collection of royalty free music, offering a wide variety audio themes and sound effects for grades K -12 as well as universities. “the ONLY royalty free music library which meets all the licensing and technology requirements needed for education!” Part of BadgerLink. 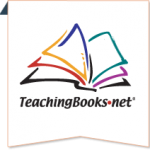 TeachingBooks.net is a database that has been developed and maintained to include thousands of resources about fiction and nonfiction books used in the K–12 environment. Part of BadgerLink. The TumbleBook Library is a collection of e-books for kids! View animated, talking picture books at the library or on your home computer. The collection also contains TumblePuzzles, TumbleGames and TumbleQuizzes based on the picture books. Recollection Wisconsin provides a gateway for searching and displaying content from the Wisconsin library digital image collections. All aspects of Wisconsin history, culture, government and industry may be found. WISCAT is a project of Resources for Libraries and Lifelong Learning (RL&LL), Wisconsin Department of Public Instruction (DPI), and contains material in all formats, including books, serial titles, videorecordings, sound recordings and other kinds of materials located in public, academic, school and special libraries in the State of Wisconsin. If you discover an item in WISCAT that is not owned in Monarch Library System and you would like to request it, please contact your library’s Interlibrary Loan Department for help in obtaining the item. The Wisconsin Media Lab is a free online educational video service available for Wisconsin residents. It is a partnership between the Wisconsin Educational Communications Board and the Wisconsin Department of Public Instruction to provide streaming and downloadable video programs for elementary, middle, and high school students and teachers. Part of BadgerLink. The Archive of Wisconsin Newspapers provides access to participating Wisconsin newspaper from 2005 through 90 days ago. Gannett newspapers are not accessible. Part of BadgerLink. Wisconsin’s Digital Library, powered by Overdrive, offers ebook and eaudiobook titles that can be downloaded to a computer, an eBook reader, an MP3 player or burned to a CD. A valid EasiCat library card is necessary for checkout and placing holds. A help page is available if you need assistance. Reading rooms for Kids and Teens are also available.